The burka is in essence a shield between the woman on the inside and the world that surrounds her. 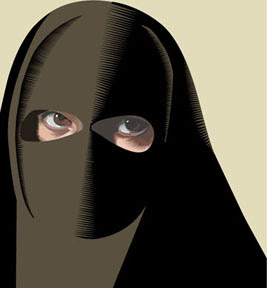 The burka communicates that she is a woman -- and no more. It communicates privacy, conservatism, and her distance from the broad community of people. Only when she is within the confines of her family, the burka is lifted, and she can communicate as the individual that she is.